Rechargeable scene lighting and work lights for industrial users. 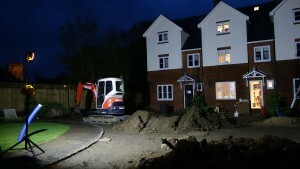 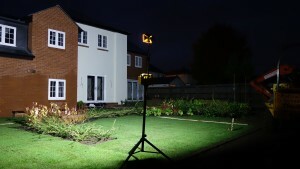 Offers a Real alternative to generator powered lights ! 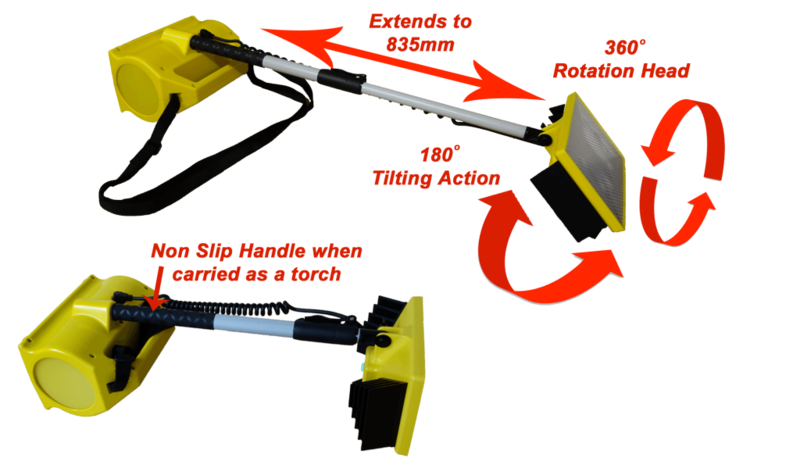 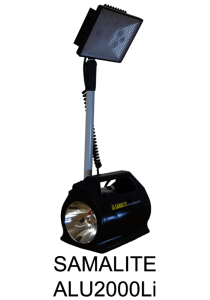 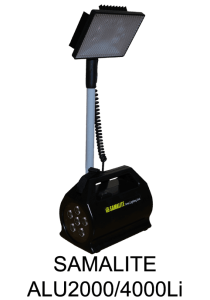 This amazing new environmentally friendly portable lightweight site lighting system weighs in at only 3.68kg, giving a hands-free LED work light at 19,800 Lumens for six hours at a time. 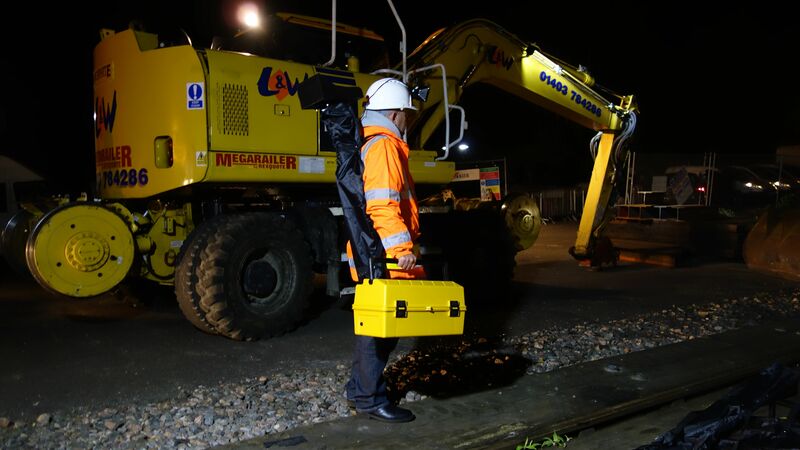 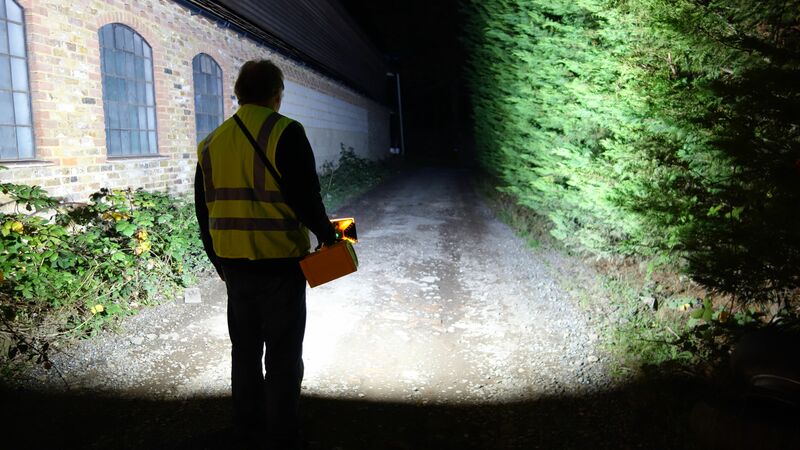 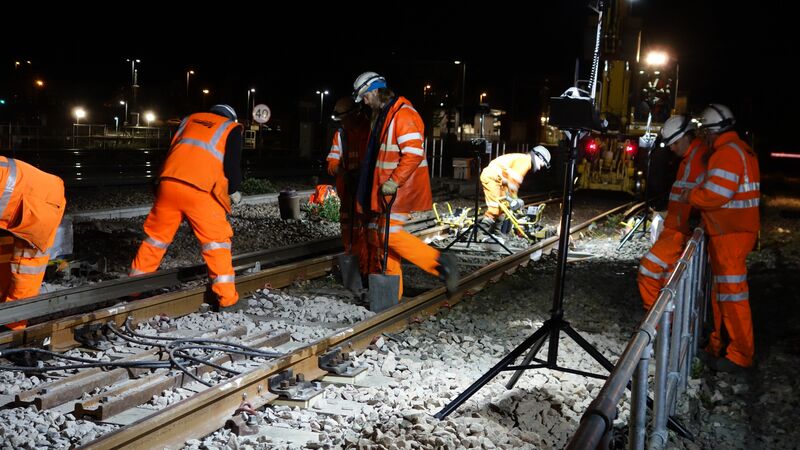 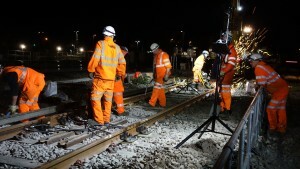 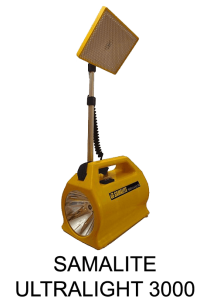 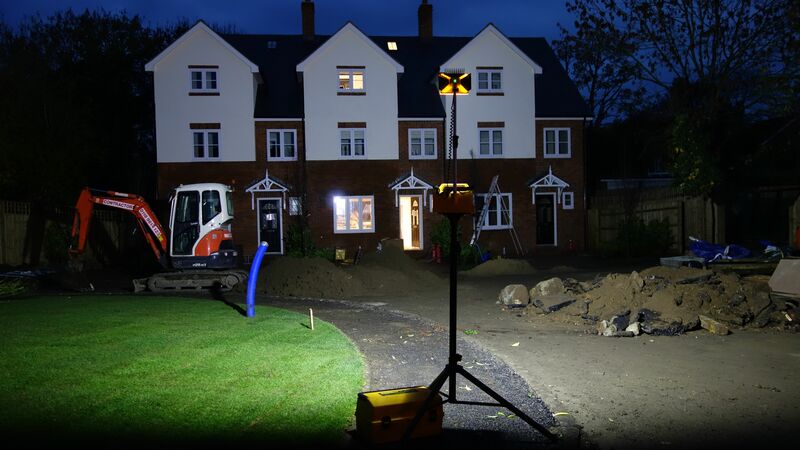 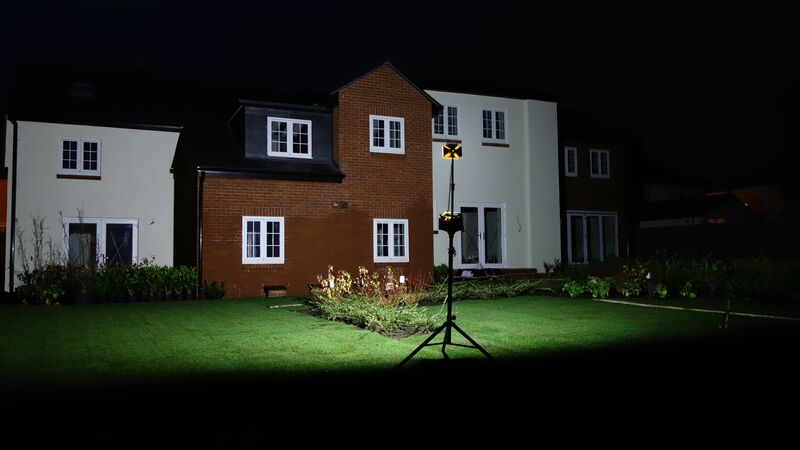 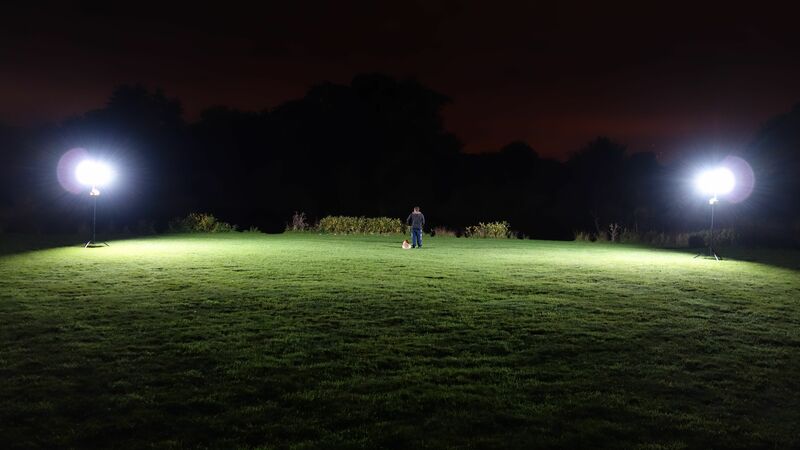 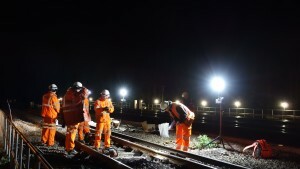 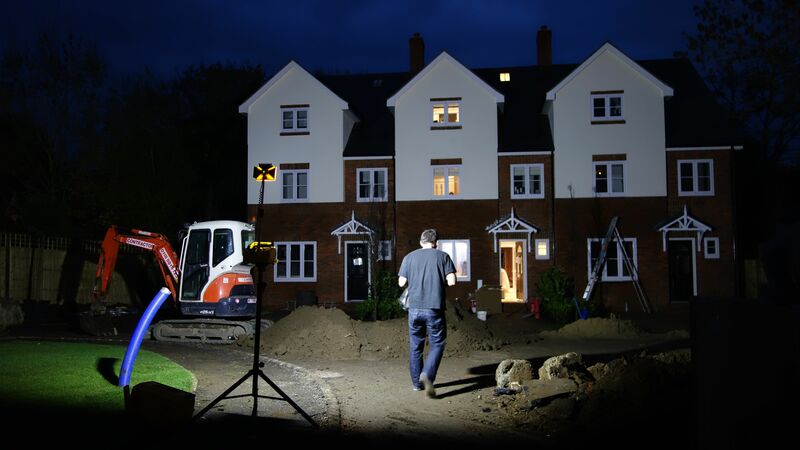 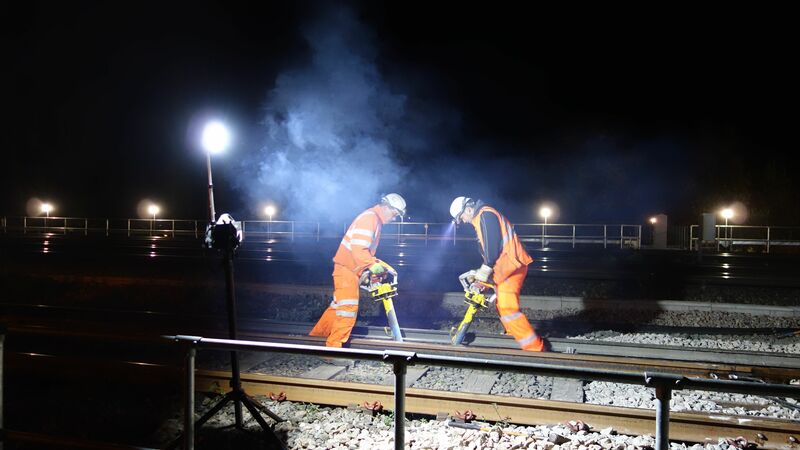 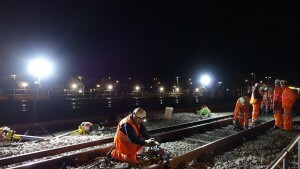 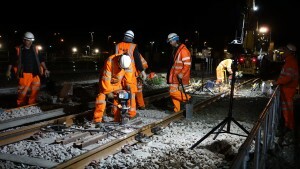 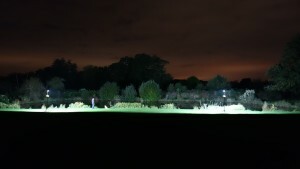 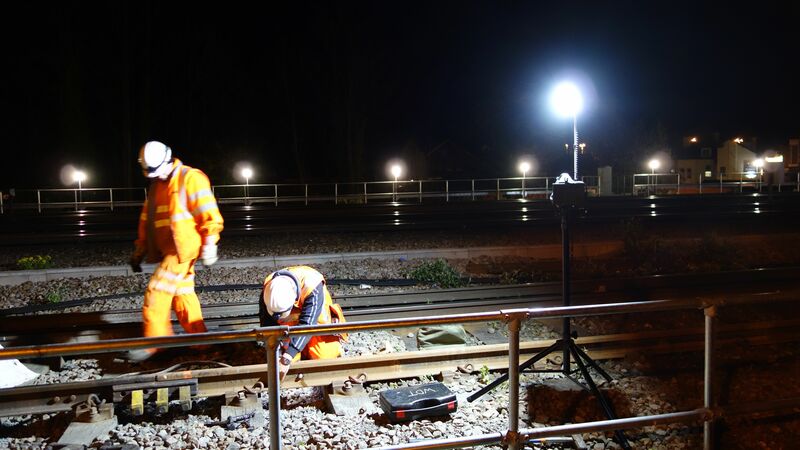 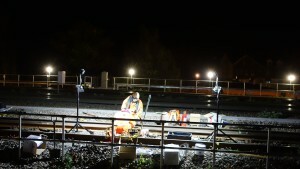 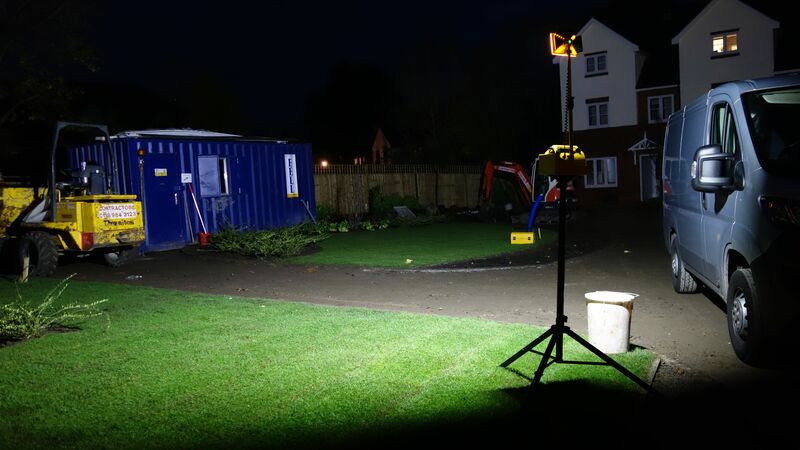 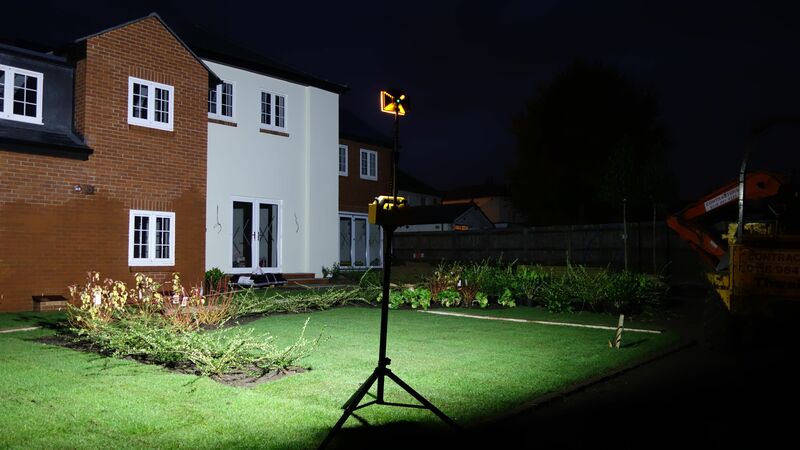 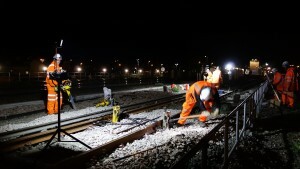 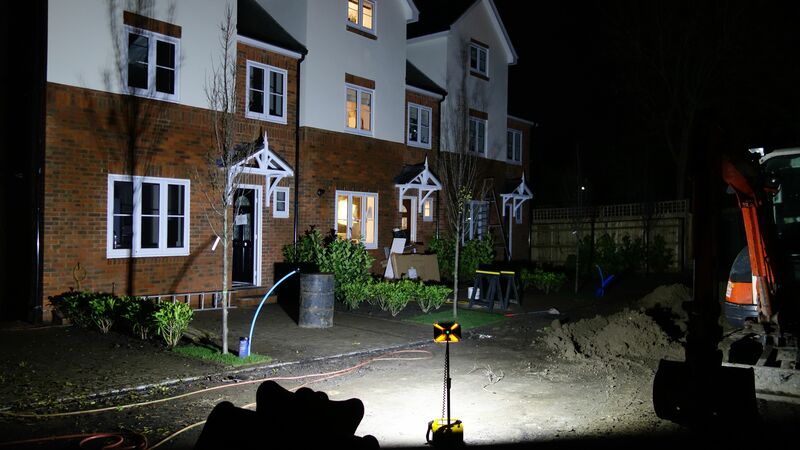 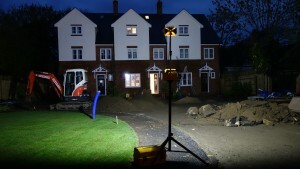 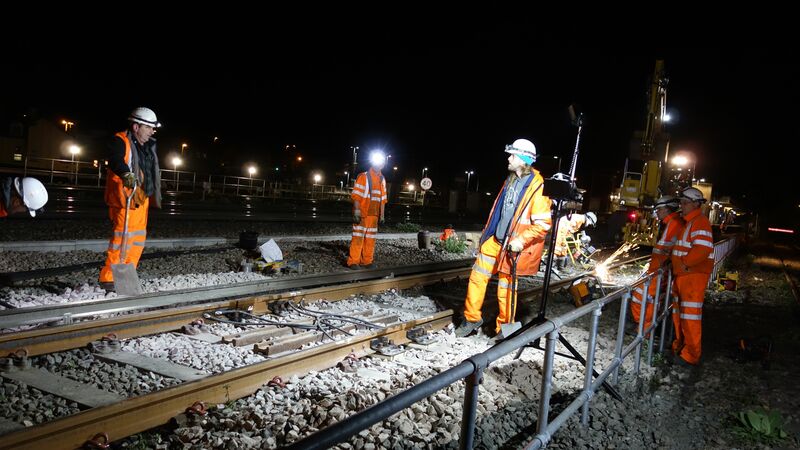 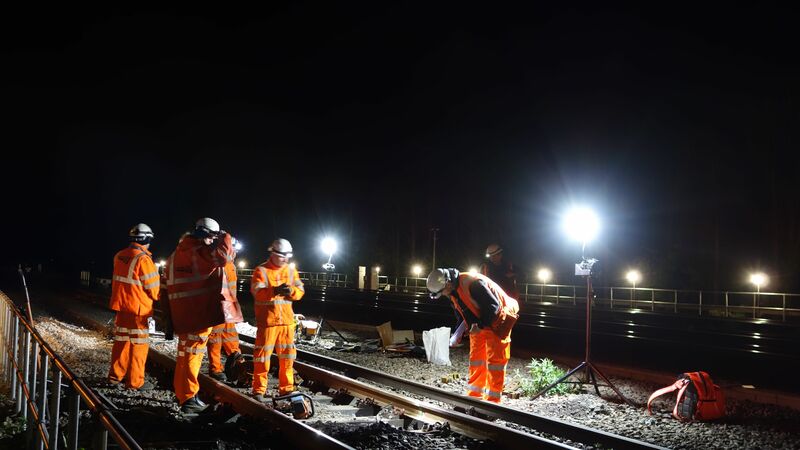 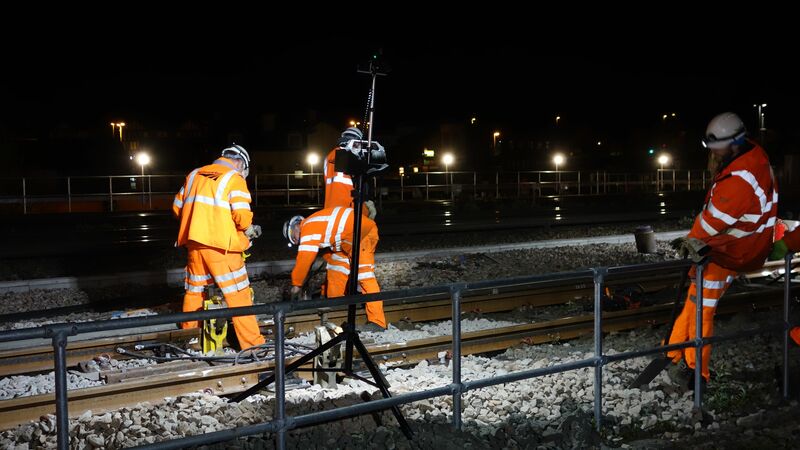 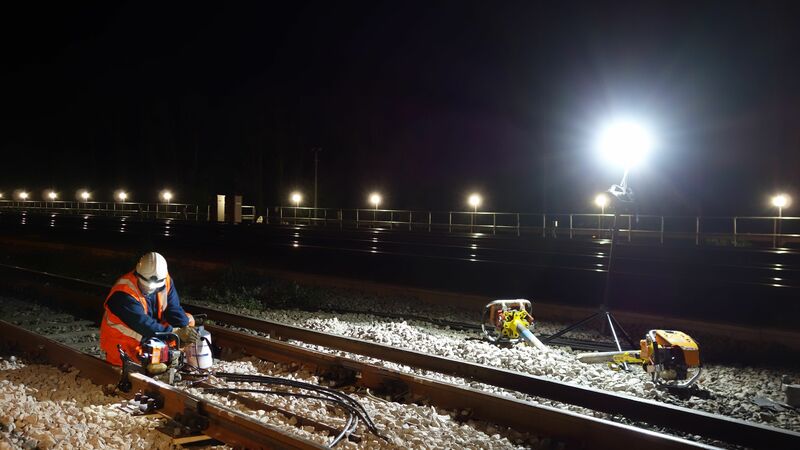 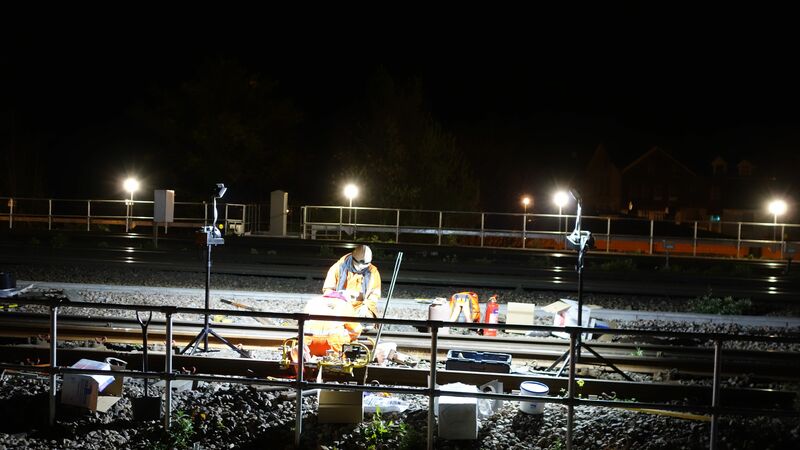 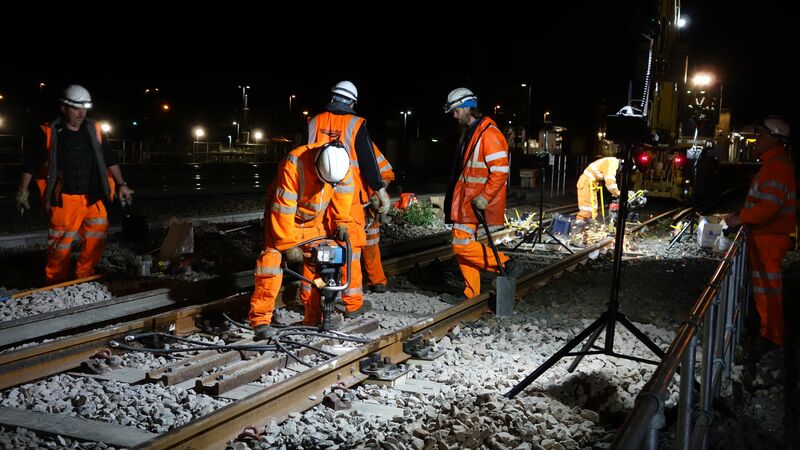 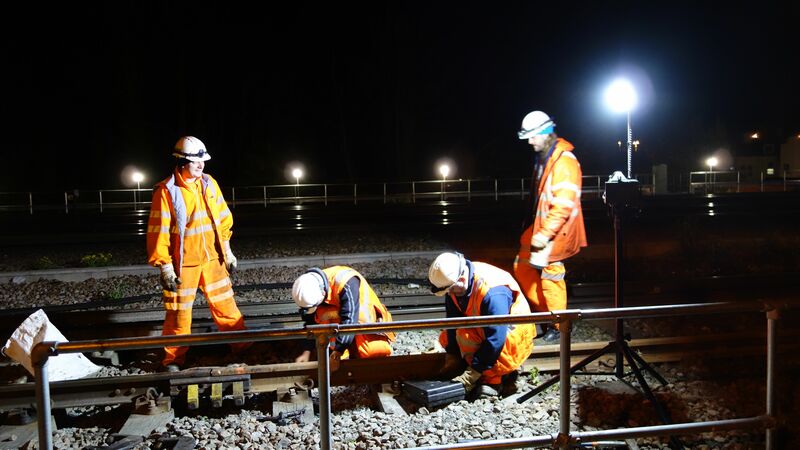 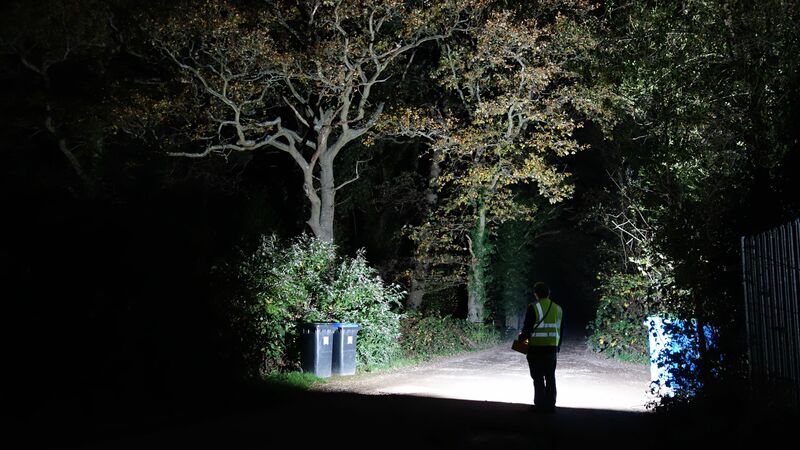 Capable of floodlighting large areas outside or rooms for working in.This cost saving alternative to generator powered lighting is ideal for, construction work lights, railway maintenance site lighting and for rapid response emergency scene lighting. 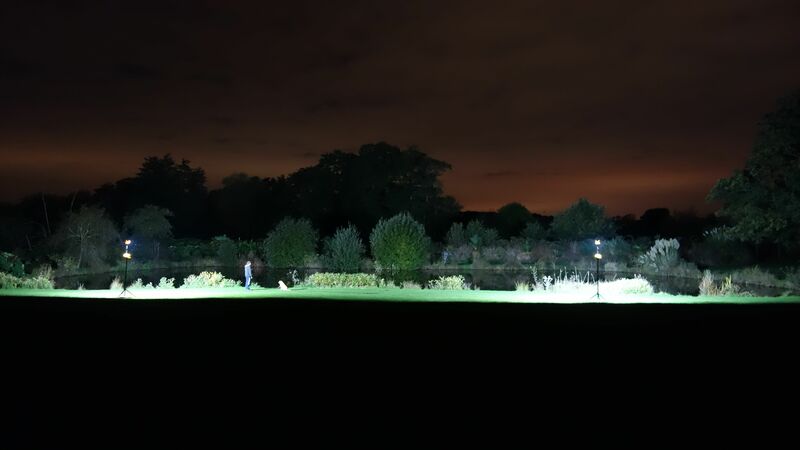 Each Samalite Eco-Flood LED is rated IP65, fully weatherproof, frost, heat, water and fuel resistant with a high impact polyurethane body and shatterproof polycarbonate lenses. 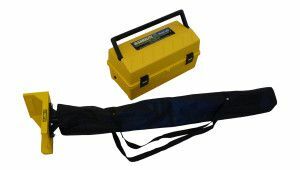 – A tough polypropylene, foam filled storage charging case, allowing storage of floodlight and attachments, enabling you to charge the unit while it is being stored or transported. 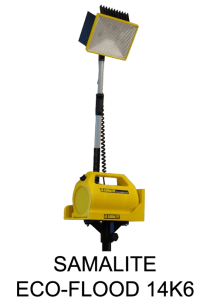 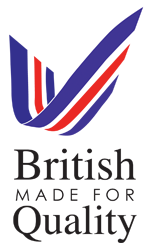 – Accessories available to enhance versatility of product, Storage Charging Case, Canvass Holdall, Storage operating Bracket, Tripod Stand with Tilting Bracket, Vehicle Charger, Stability Bags and Guide strings available for use in adverse weather and situations, Remote Control Light Switching ON & OFF. 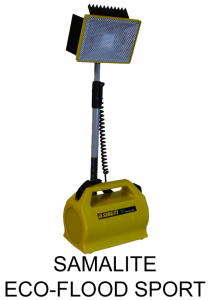 Lightweight Sturdy Aluminium stand with lockable height adjustment from 1.05m to 2.9m (with Eco-Flood) weighing only 3.3kg. 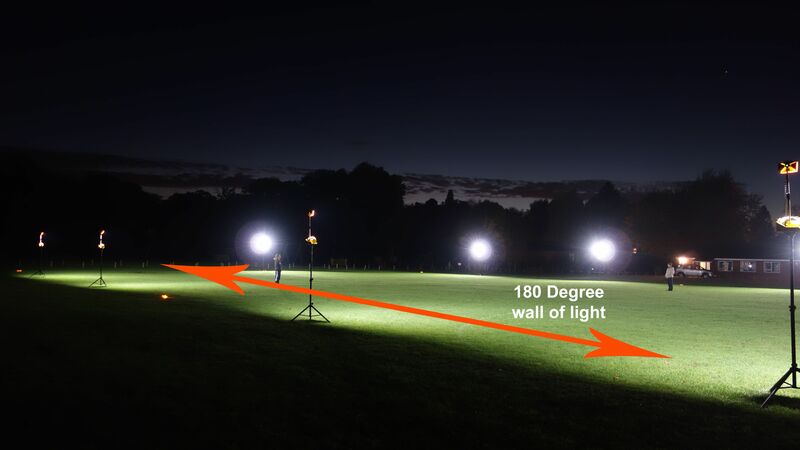 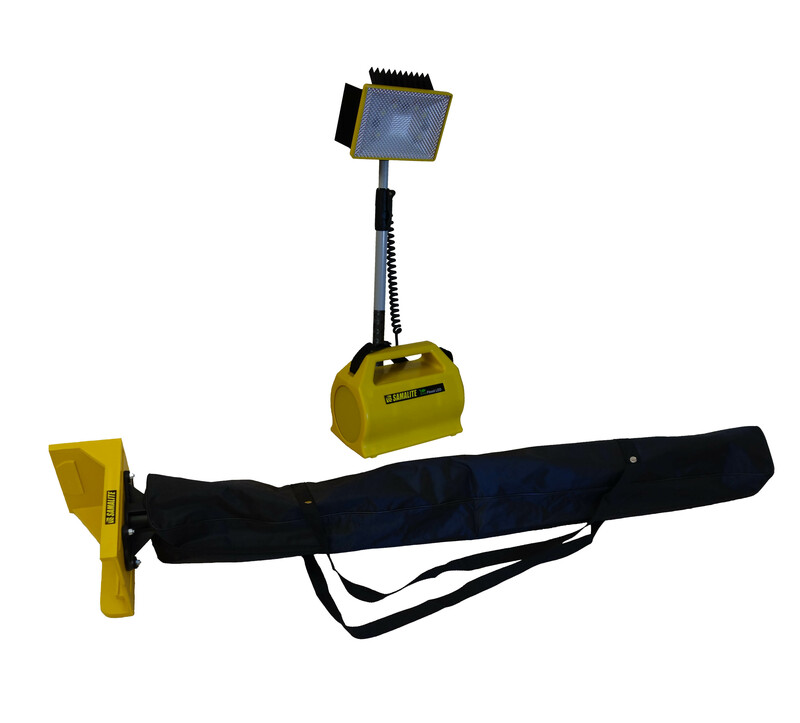 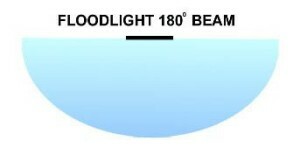 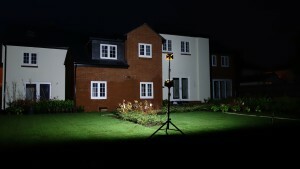 Can be used with any Floodlight or Searchlight and takes only 30 seconds to erect from bag. telescopic flood light attachment, mains charger, 10 amp spare safety fuse. 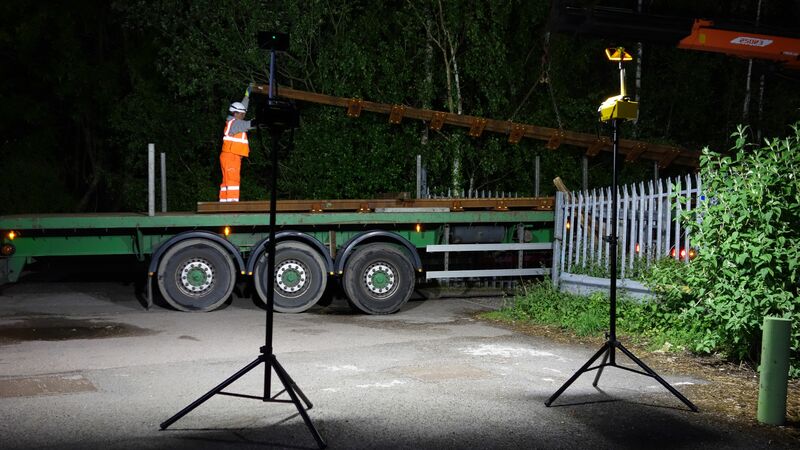 and TS200 Tripod Stand with universal HD213 bracket.